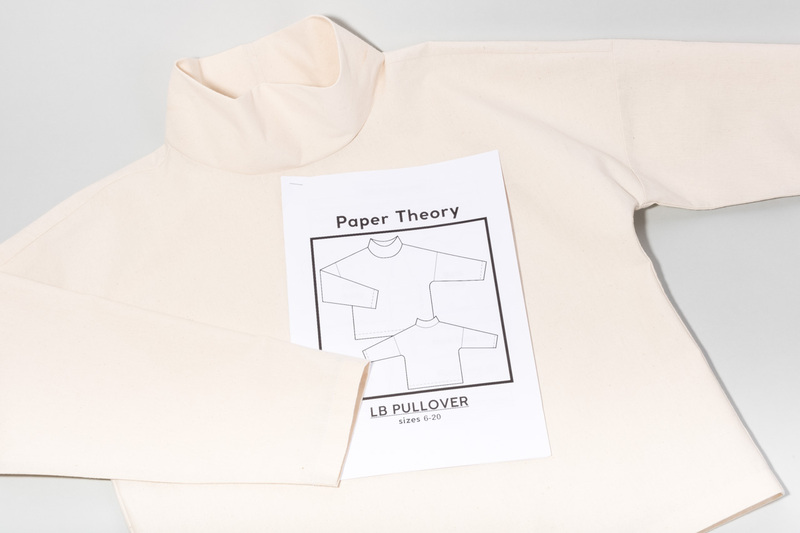 In this post, we have traced the pattern and prepared a first toile for the Paper Theory pattern, the LB Pullover. This first mock-up will allow us to understand the size and shape of the pattern and consider how it can be used in a woven fabric. This is a versatile top pattern with a boxy shape. 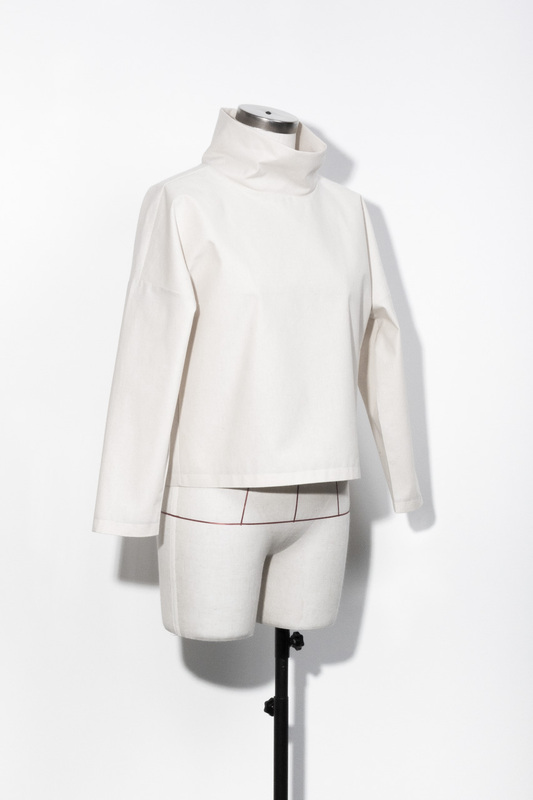 There are two neckband options for either a funnel neck (Option A) or a narrower band (Option B). This is a great shape that you can easily see working in a wide variety of knits and jerseys without too much need to toile beforehand. Especially if you made it in a cheap and cheerful knit to start with. However, in this case, because we want to also sew some versions in different woven fabrics we have sewn it up in a fairly rigid calico as an unforgiving test of how the size would work. 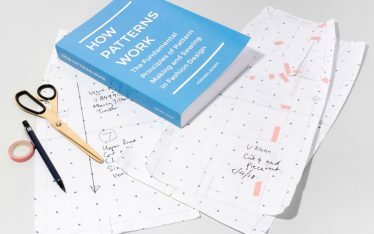 This pattern had been bought as a digital file download and then printed to A0 size using a pattern printing service called Print Your Pattern. The instructions have then been printed on A4 paper. 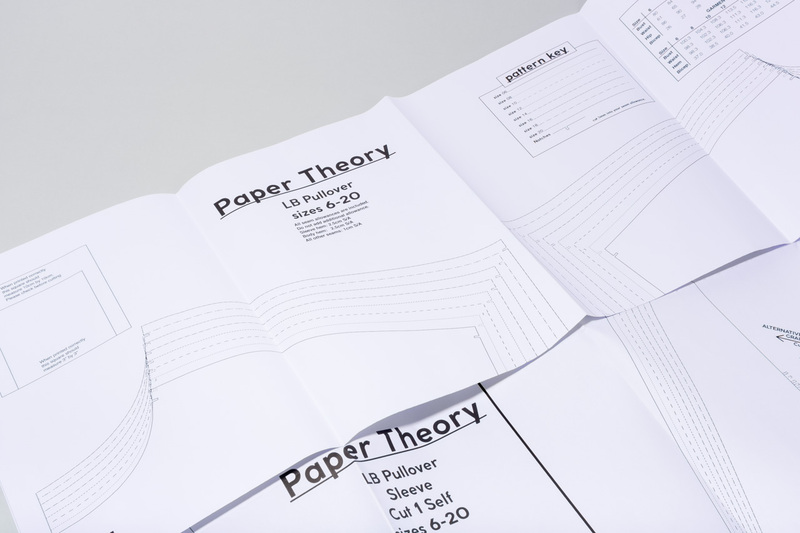 In the images below you can see examples of how the printed pattern looks, as well as the instructions. 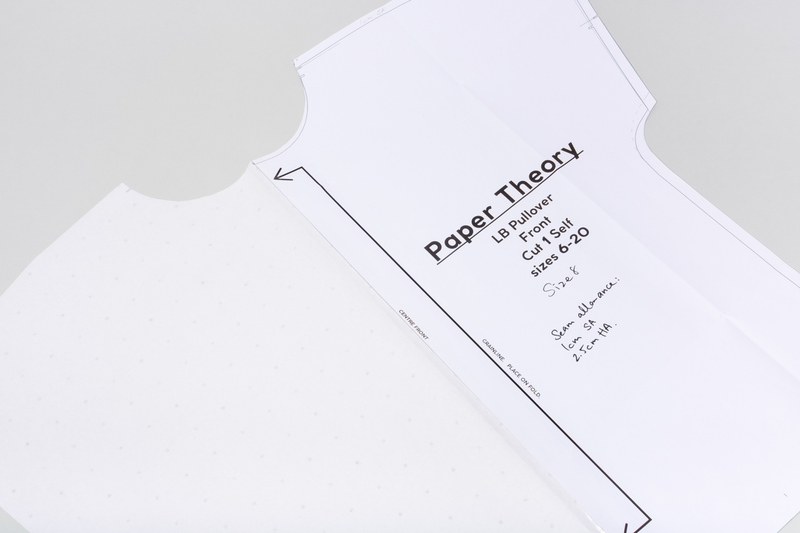 If you secure the extra paper along the ‘cut on fold’ line with tape, then you can use a scalpel and self-healing mat to cut through both halves of the pattern at once. 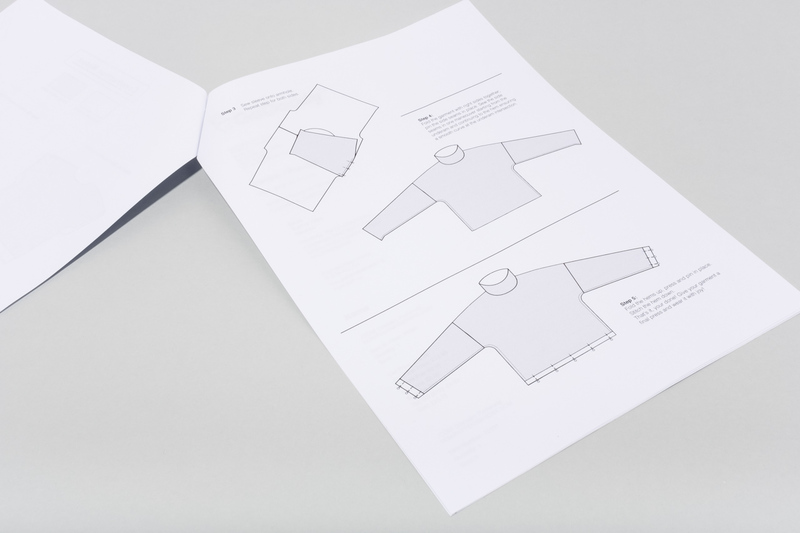 Keep the pattern folded while you use your pattern notcher through both layers. 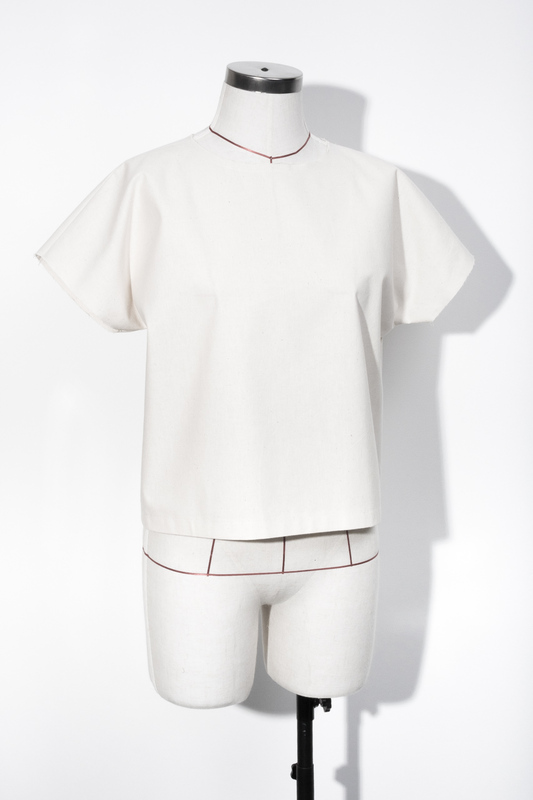 Jersey top with contrast overlocking. Linen version (possibly short sleeve with neckband Option B?). In the images below you can see how the pattern makes up in a Size 8. We have desaturated the colour of the calico in these photos so that you can focus on the silhouette and details. 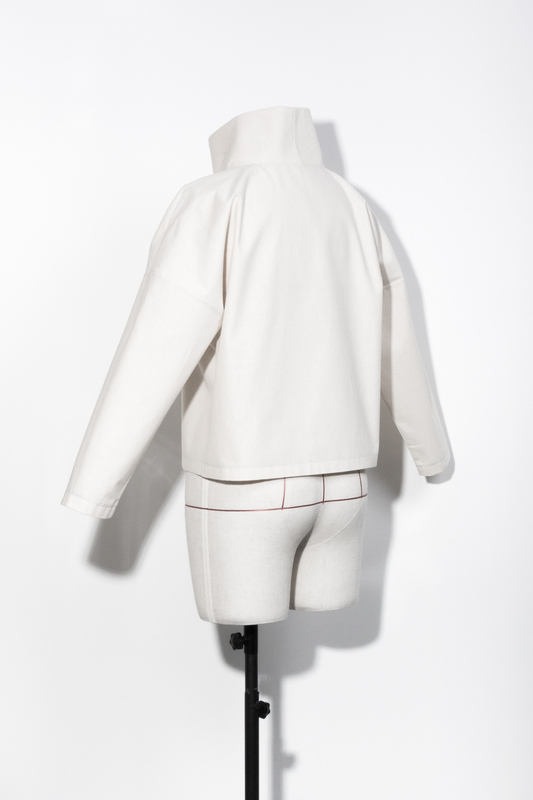 This toile was finished with overlocked seams, as shown in the images below. 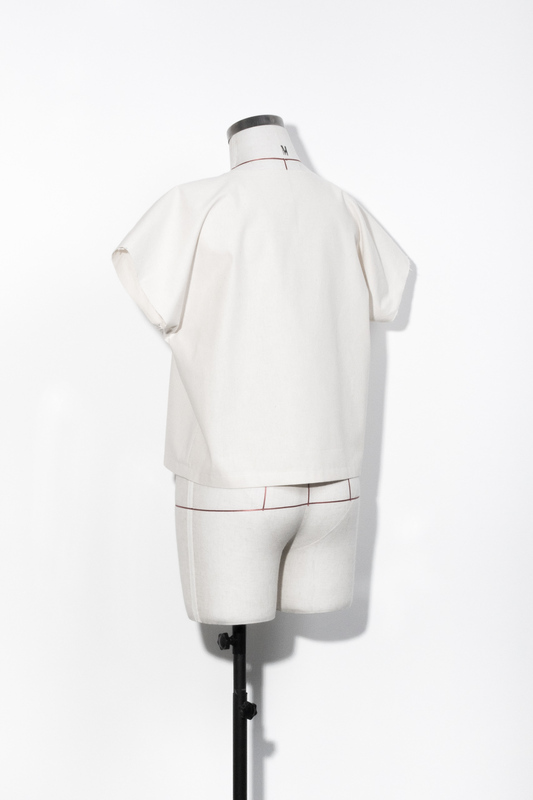 We have also sewn a second toile using just the body pieces. This is so that we can look at the shape without the sleeves and neckband and see if this could be good to use as a t-shirt shape. 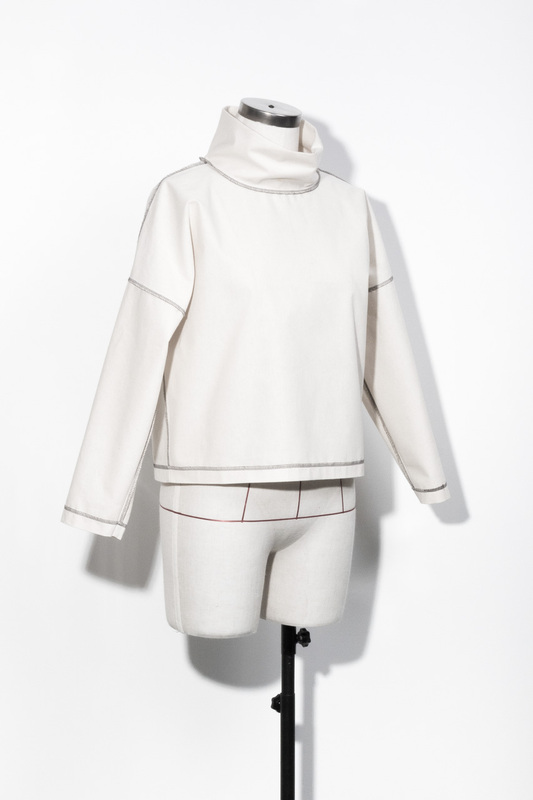 For example, this could be a cute basic shape to use with the addition of ribbing on the neckband and sleeve cuffs. 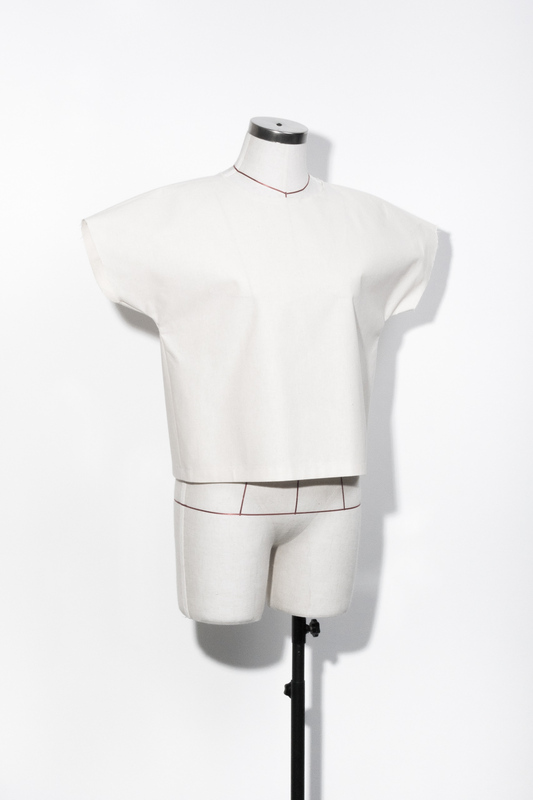 In a woven fabric, one of the areas that might dictate the size that you choose will be the neckline and neckband. 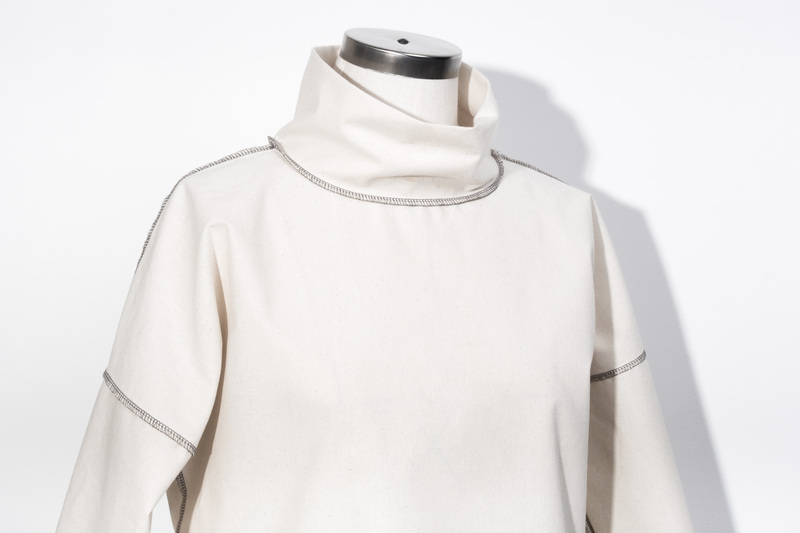 In this fairly rigid calico, the neckband becomes quite narrow in a Size 8. This might be a particular concern for you if you are cutting it in light fabrics and want to avoid getting makeup marks on the neckband. 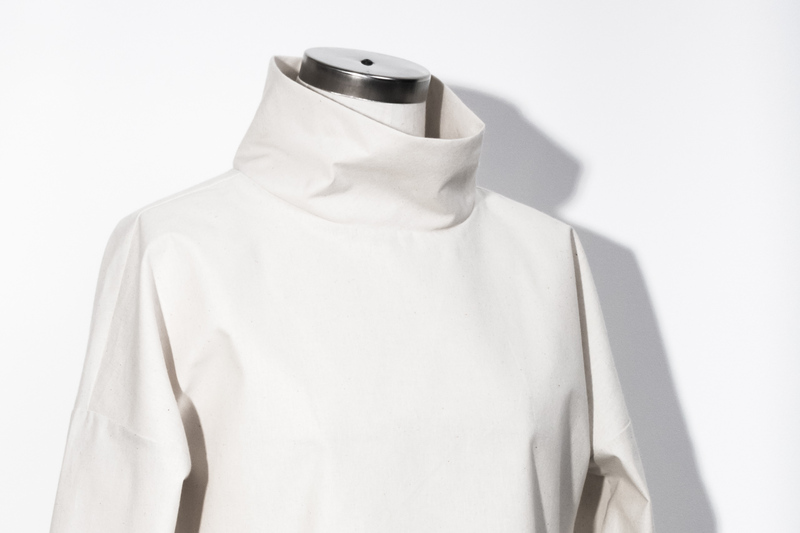 This may not be a concern at all if you cut the garment in a stretch, and depending on the stretch of the fabric / how much give there is in the stitching around the neckline. Option 1 to solve this would be to cut the garment up by a size, i.e. a Size 10 instead of a Size 8, for more space overall in a woven. Option 2 might be to trace the larger neckline up a size and then blend to match. For example, Size 8 body blended to meet Size 10 neck with a matching Size 10 neckband. Option 1: Just overlock the seams in a matching thread colour. You will need to check the width of the overlocking on your machine and see how much you will need to trim off as you overlock. 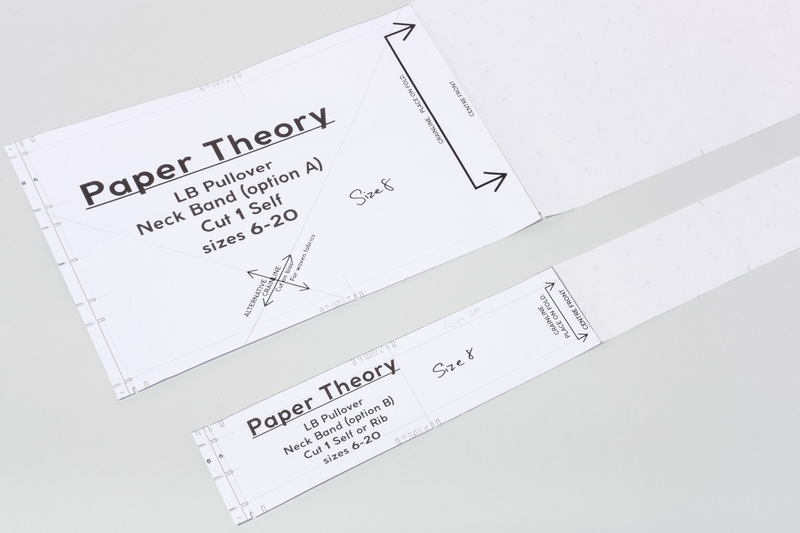 For example, 1 cm SA (seam allowance) with 5 mm wide overlocking will mean you need to trim off 5 mm as you overlock. 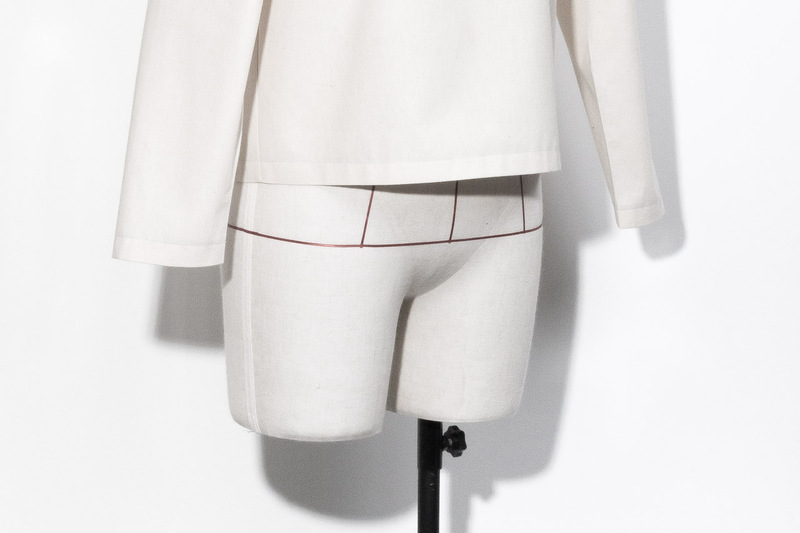 Option 2: Sew the seam first in a DTM (dye-to-match or colour-matched thread), then overlock in a contrast thread. Depending on the overlocker it can be difficult to control the width to get the overlocking right next to the stitching line. Especially around the neck curve. Option 3: Or alternatively, overlock the seam at the correct width in a contrast colour so that the left-hand needle runs just along the SA. And then follow up with a line of straight stitching in a DTM thread colour on the allowed 1 cm SA line. 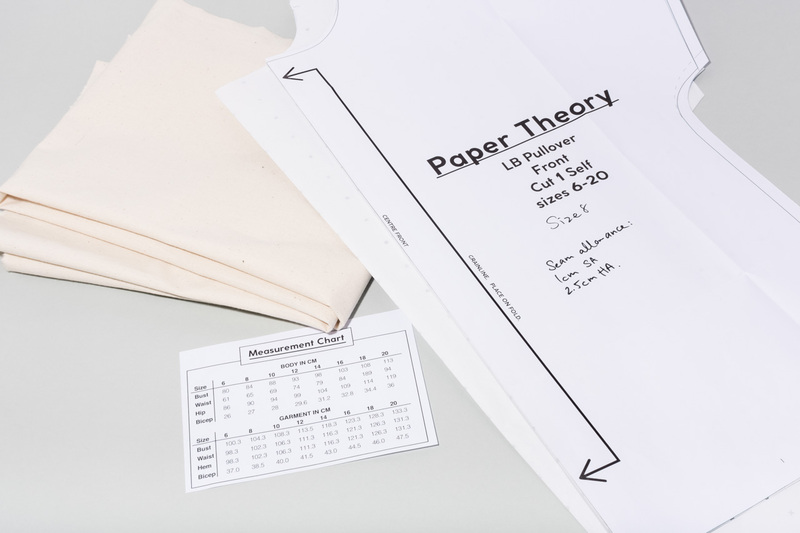 Depending on your fabric choice, you could also consider sewing flat felled seams to make the garment reversible, though you may need to adjust the size of the SA. 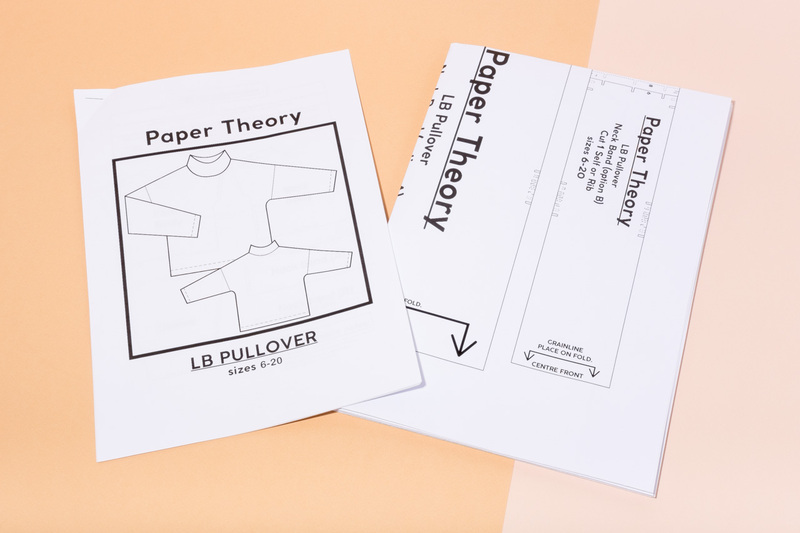 If you are sewing a garment that isn’t reversible, then Option 1 or Option 2 would work well. 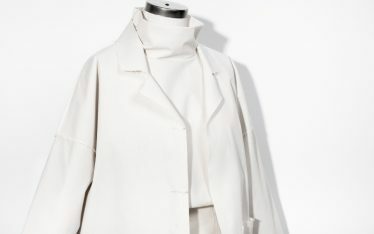 If the garment isn’t reversible, then it is not a concern if the overlocking in Option 2 simply runs along the raw edge of the fabric with no trimming. 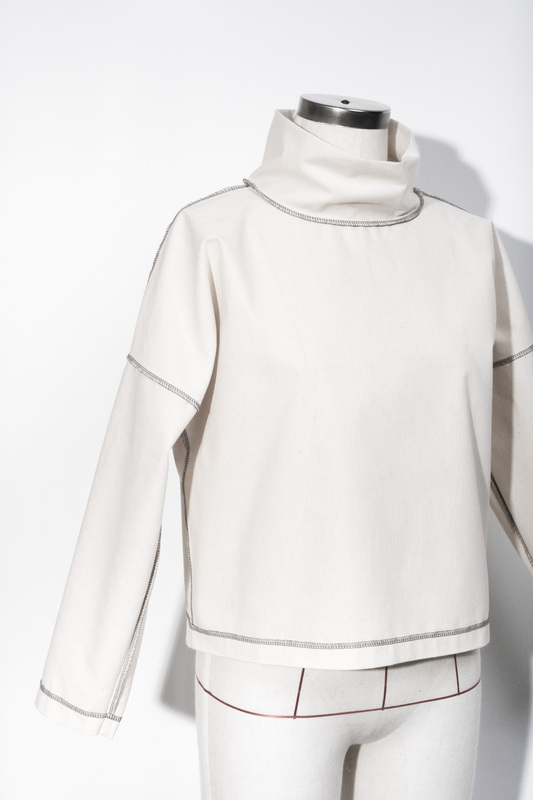 This option could be used for a simple linen version that is not reversible. 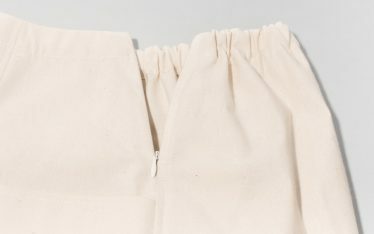 For this toile, the seams were constructed using Option 3 (overlocked first, then straight stitched along 1 cm SA line). This is in preparation for creating a black jersey top, with contrast red overlocking. By using this method, the idea is that when worn inside out you will get a vibrant pop of red overlocking. But when the garment is worn right way round (all black) there won’t be any red stitching visible on the seams. 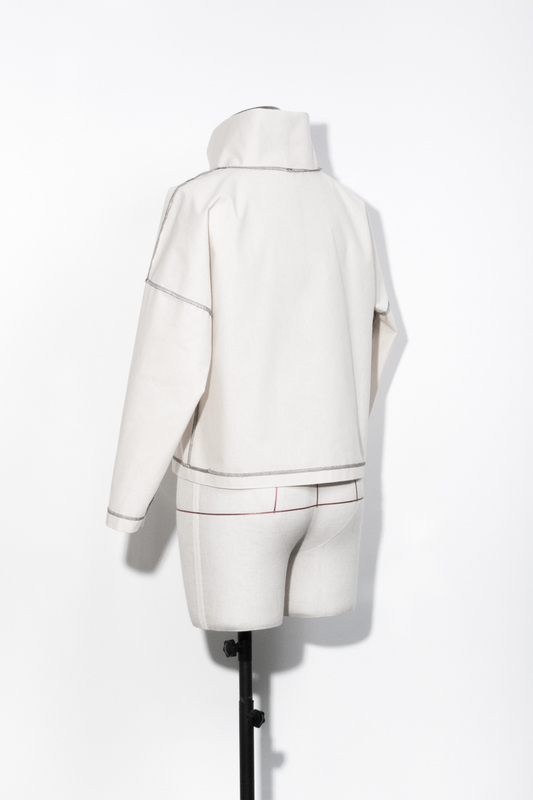 This idea will be easier to test and explain on samples of real thread and fabric prior to sewing the final garment. It’s important to consider the overlocking when it will be exposed like this as well. A 3-thread vs. 4-thread setup will change the look of the overlocking, while you can also make changes to the stitch length and stitch width. 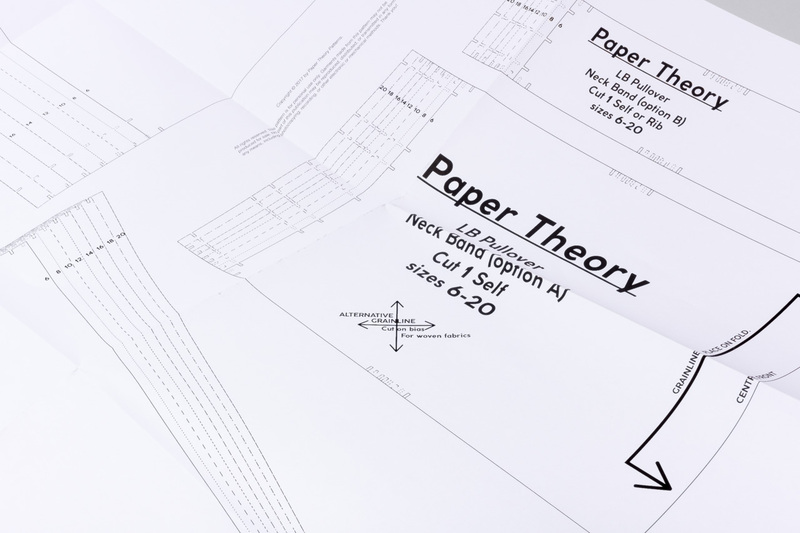 Again, these are options that can be finetuned on samples of the real fabric prior to constructing the final garment. At this time, you will need to be logged in to your Assembil account to leave a comment. You can set up an Assembil account by selecting “Account” in the menu bar. Subscribe to our email newsletter to have updates delivered to your inbox.